Does anyone know anything about the how the DE1 is supposed to work or have any thoughts on this machine which will be soon shipping in the US? The website has some incredible claims but doesn't give any real technical detail about how the machine works. I wouldn't take the claims (eg." A $1000 espresso machine that makes coffee as well as any $14,000, professional machine. Truly. "I’ve tested an early prototype of the Decent machines. Yes. All I can say is that I believe the production machine will outperform any machine in the world when it comes to controlling shots and getting the feedback one would want in order to improve shots. The non-pro Decent machines won’t be able to produce 100s of consecutive shots, but as a home machine or a lab machine, even the DE1 will outperform any commercial machine I’ve ever worked on. I have no concern that I’m overselling the machines. So, please get as hyped as you would like to"
Could the DE1 be a new category killer that re-defines performance and cost for espresso machines? Grandpa said something to me a long time ago that goes something like "If it sounds too good to be true ......". Good luck to early backers and I look forward to user's review. The economics of making these beasts don't change all of a sudden. Given that their website includes the bizarre claim 'With most home machines, you don't stand a chance of making a decent espresso'.....I think I'll wait for vaguely independent reviews. I think these chaps bought the license to tech from a Kickstarter product that didn't get across the line. Good luck to them, but I'll hasten slowly. Dimal, Magic_Matt and Wynton87 like this. Decent are posting a lot about the machine on home barista - and quite a few videos too. They're a sponsor there. Thanks Sniff, I'll take a look, not that I'm in the market, I'm pretty satisfied with my 55 year old group head design. It will be one of the most significant advancements to espresso in a very long time. Will do much more than a Vesuvius. I had a look on the official site and there are some interesting videos. I wonder what they'll sell for in Australia, a hefty price premium I would think. It's to early to tell if they'll be any good, or the machines longevity, how it works etc. I'm guessing that it's some sort of thermo block/coil that's the cost cutter, not to say it won't be a bad machine for the price. I think people will be keeping an eye on it. Have to buy the de1pro to be able to steam at the same time you pull the shot. Hope it's as good as they say it is. At $2600 Au for the pro its pretty well priced. Base model is $1550 au. I'd be interested to see if any site sponsors here would touch it. Seems like a very complicated machine you wouldn't want any random coffee repairer winging a service first try. I haven't tried a coffee from their machine, but they're selling it as a over complicated super fiddly machine that is the ONLY machine capable of pulling great shots. Pro is going to be closer to $5k AU - DE1+ is the 2600 one. In the video, the group head sort of moved when he locked the portafilter !!! Would like to be as sure of winning a lottery as I am that this will be a non event. The web site is all smoke and mirrors. I've had some direct contact with John and have been surprised by their openness. There is plenty of marketing material for sure, but it's no worse than the stuff coming out of the likes of Slayer (take the Steam for example). I'm not planning on buying a machine (I'd rather create the functionality myself) and wouldn't say all of the design choices are to my taste, but I admire what they've done. It's been interesting watching it develop as a curious onlooker. Dimal, SniffCoffee and spud36 like this. And I would imagine, as John Cleese would say, pretty soon it may well be an extinct duck. Dimal, Casa Espresso and BalthazarG like this. Gosh. I'll believe it's a product. I'll believe that it works. But blimey, all those electronics stuffed into a tiny box like that - I wouldn't want to believe that dropping that much coin will mean it's going to survive very long.. It's kind of the logical successor to a Breville Double Boiler, which achieves it's claims but the repair costs are prohibitive. This is just the next level up, without the global supply chain or repair networks. Even if they've nailed that profiling system and all the mechanics it would involve as well, it's a mighty achievement in such a tiny box. However we all know there's far more to espresso than what the machine itself does. Looks fun, will be great for the demographic I would normally be considered to inhabit, but I'll pass. Dimal, Magic_Matt, Melbroaster and 1 others like this. ...although I didn't hear mentioned the importance of grind, dose, tamp and choice of beans! Without consistency of the basics no amount of electronic control is going to produce great coffee. Sure would be fun to play with though. coffeechris, Dimal, pgrehan and 1 others like this. I agree that a healthy dose of skepticism is appropriate for any new company, especially one that introduces a new product that makes a lot of bold claims. We're going to be launching the espresso machines in a few days, with a bunch of web site changes (including final prices) but I can give you advance notice that the prices will around A$1500 for the DE1, and A$2900 for the DE1+. Shipping, sales tax and duty get added to that. Dimal, SniffCoffee, MrJack and 6 others like this. Thanks John for the videos. Do you know how much shipping, sales tax and duty will add to the price of the DE1+? John, first of all, awesome works you guys did there! And thanks for joining here! As with others, I'm curious about the expected reliability of the DE1. What will be the most common failure that you foresee? Any action/prevention taken against that? Take the Breville dual boiler as an example, it is an awesome machine when it works. Unfortunately, when there're small hiccups and they happen (pump failure, solenoid, valve, pressure gauge etc), it can be annoying even if it is backed up by warranty. Can any of the repair/maintenance be done by some of us laymen who are more DIY/hands on? That's actually the last bit of programming I'm working on, right this moment, of integrating into our shipping service's duty/shipping calculator. Once that works, we can launch. However, since you asked, I looked up the answer to your question by hand, and TNT appears to be the cheapest. Attached is the shipping/duty/tax charge in Hong Kong Dollars. Divide by 6 for Australian dollars, and you're at about A$500 in shipping/duty on our DE1+. I know, I know, that is really high, and you'll see that the Import Tax is the biggest part. Governments run on taxes, unfortunately. On 2/3/4 we're currently going with the most expensive, high reliability components out there. Solid teflon tubing is about US$50 per foot, and that's what we use. The swivel connectors are solid metal and are US$8 each. The pump we're using is from a Taiwanese supplier who supplies Nespresso, and they admitted that their earlier models had reliability issues that they have solved for a few years now. Their honesty makes me trust them more. Because we have a flow meter in the DE1+ we can detect calcification buildup, which is handy. Heat buildup was a major concern for beta 1 and 2, but now we've totally thermally/water isolated the circuit boards and power supply, and given them their own ventilation, and the circuit board area runs at 27ºC now, far far away from the 60ºC danger zone. 2 years ago, I had my two lead engineers intern at two Seattle-based espresso repair shops, so that reliability best practices would be our point of departure. As a new machine, there will doubtlessly be problems we haven't foreseen, but if you go back through our Facebook and Home Barista conversations, you'll see that (a) I'm really into transparency and doing the right thing (hence the company name) and (b) I don't think that a new company can survive, in this market and this internet-age, and not do the right thing. Australia is currently our #2 biggest customer, after the States, for our accessories. 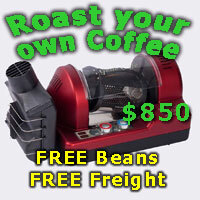 I'll be showing up for the big Australian coffee trade show in the spring, and you can play with the machines in person. We're in Hong Kong, and we build the machines ourselves from parts from China, the USA and Germany. Hong Kong is "sort of" China, so I'd love to find a reference to the import duty waiver language and see if we can apply for it. Because otherwise the Australian Import Duty is not pleasant, at A$280 for our DE1+, more than the shipping costs. Dimal, SniffCoffee, matth3wh and 5 others like this. John, your machine is very impressive. Can you please consider partnering with 1 or more Australian retailers so that it can be released with local compliance and warranty support within Australia. Can't wait to try your machine! matth3wh and Paolo like this. In another video where the Decent Pro grinder/doser was shown, John said that they have tried a number of domestic level grinders and that they are not up to par with the DE1+ setup. It is always refreshing to know that when it comes to espresso it is still grinder grinder grinder! matth3wh, Wynton87 and spags like this. Well, after reading the 20 page Home Barista post I'm intrigued. What impressed me most was the video of a 1.5 minute shot with a scace showing minimal temperature variation. That pretty well answered my biggest concern, can you maintain temperature stability without a good size boiler? I'm also interested in the concept of drier, hotter steam. I think many snobs, myself included, see espresso machines as a primarily mechanical device (though we like a PID) - and find an electronics based machine challenging. However, electronics have revolutionised other mechanical devices including music players, cars and photography, so why not espresso? So far the concerns raised seem to be based on reliability and cost, not the principles of what is being attempted. Even if reliability is an issue at first, if the principles are sound, this will be resolved in time - even if the packaging needs to change. I think many people have invested a lot of time and money purchasing and learning to use traditional espresso machines and find the idea of something different, and perhaps better to use or easier to learn, threatening. These people tend to criticize without trying to first understand the product. Magic_Matt, matth3wh, spin_addict and 1 others like this. That's true, electronics have revolutionised many types of technology. However at the consumer level that's often meant we've ended up with disposable products that last a few years at best rather than a lifetime. I haven't sifted through all the HB pages on the Decent Espresso, but I've had a look at their website and watched some of their videos. I really like what they're trying to achieve and also the way they're going about it. While my initial reaction might be surprise that people struggle to get a good espresso from a more traditional home espresso machine, if I really think about it I realise that it's taken me years to get to the standard I'm at and I'm still on the journey. It's a hobby for me and a lot of people aren't willing to go through all that, but they still want to make good coffee at home. So I understand the market they're targeting, especially in the US. My main concern is similar to others - reliability, serviceability and longevity. I really hope it ends up being more than an expensive appliance that last 10 years at the most. Finally, welcome to CS John and all the best for the launch. I will be watching keenly. From my understanding, the supplier in China needs to fill out a declaration that the product that is coming to Australia from China has its origin in China. "Can you please consider partnering with 1 or more Australian retailers so that it can be released with local compliance and warranty support within Australia." These machines make my Vesuvius seem like an old grandfather! But my Vesuvius has proven itself to be rock-steady in its use and output. If your machines DO develop problems (I won't mention Breville here) there needs to be a network close by to offer support and spares....it is not as if this machine will have any/many parts common to conventional machines that can be adapted. Good luck with your machines! Thank you for that link, really helpful. I've been working on duty/tax/shipping this week: that's pretty much what's holding up the release, but I'm hoping that will get wrapped up today. One idea we have for reducing duty is to ship you the espresso machine, but have the tablet software downloaded over the internet, as a separate line item in the cost. In this way, your duty basis will be much reduced, especially for the more expensive models (DE1+) since the software is most of the added value. We think this is a defensible position. The advice we're getting is that the DE1 hardware could be declared at a value that was less than the "de minimis" (A$800) for Australian import duty (say, at A$650), and the rest of what you're paying for is software, delivered over the internet, and hence duty free. This does mean you'll need Internet access to upgrade the the tablet software, but I assume people knew that already. FYI, this approach brings shipping our DE1+ to you in Australia down to A$200. Huge difference. MrJack and Lukemc like this. Software upgrading is always interesting for the advanced features and for new features that might come along later. Will it be brick proof? Will it boot to safe mode if upgrading process is corrupted either by power outage or fluctuation? Upgrading via LAN, WI-FI or USB? If it really does perform as advertised then it's an intriguing development in coffee machines. However, surely the app used to control it would be free? surely the app used to control it would be free? The app is included in the price for the espresso machine. However, from a customs declaration point of view, the value of the software is declared separately, because software is not subject to Australian import duty. If the software were declared as having no value, you would have a much higher import duty to pay. If it ever "bricked" there's a hardware button to press on bootup, on the board, to restart to either #1 or #3. Dimal and Lukemc like this. I got that. I wondered whether from a customs point of view the declared value of say $650 for the hardware is reasonable but, since this is a consumer appliance, I wondered whether they might expect the value of the app to be zero (i.e nowadays consumers don't typically pay for them). The steam from the 170C heating system might be able to deliver dry steam but the accumulated condensation on the frothing wand will surely not be dry. Is there an option to purge the steam wand? - the steam wand has a solid teflon inner tube, so that there is virtually no condensation (or cooling) on the steam wand. This also makes it a "cool touch" steam wand. - yes, the DE1+ has a dedicated "rinse" button for this, or and on the DE1 you just tap "steam" on/off quickly. We should be exhibiting at MICE at the end of March. I'm flying off tomorrow for a sales tour of the US and then UK/Europe. Hopefully some of the people I meet will blog and video the experience, and give you their thoughts. Dimal, matth3wh and noonar like this. Congratulations on getting the product to market. I'm sure it's been a long road. Best of luck in the months ahead. John, congratulations on getting to this stage. I read through the purchase page. Was impressed with the happiness guaranteed promise. Concerned though about the standard DE1 being rated for only 10,000 shots. In the enthusiast community it is nothing to go through 20 shots a day on a home machine including multiple coffees for people living in the home as well as dialling in different coffees and experimenting to improve flavour in the cup. On some days it would be less, and when entertaining it would certainly be more. In any case, to use that as my average my DE1 would be rated on average for only 1.5 years use for somewhere around $2,000 total cost inc shipping? I would have expected a higher rating. What should need replacement after the rated 10,000 shots and what would be the estimated cost? ArtW and magnafunk like this. I would have expected a higher rating. What should need replacement after the rated 10,000 shots and what would be the estimated cost? We don't actually know when the pumps will die, we can only go with the very conservative guarantees that the pump manufacturer gives us. We've yet to "expire" a pump from use, though we have managed to jam one with grit in the water tank and needed to take it out for cleaning to fix it. So, I'm not saying that I know the pump will expire at 10,000 coffees. We're hoping that it will be much more than that, but since we've not been running our espresso machines for years, we can't do anything for guarantees but repeat what the pump maker says. And of course, the pump maker is happy to sell us a more expensive pump with a longer rated guarantee, which is what we do in the PRO models. I should also mention that the pump we use is a variant of the extremely common "Ulka" pump that lots of machines use. Ours is a bit quieter and has some other properties we like. However, if your pump did for some reason expire, it's ten minutes' work for a repairman to swap our pump out for an Ulka, a part most shops have in stock. I've just purchased the DE1+. Should be an interesting journey. My last play with technology was putting a PID controller (with Bluetooth link to a tablet for monitoring the shot) into a 25 year old Vibiemme commercial machine. Old with the new, and it works well. The Decent machines are state of the art so it should be interesting. The sort of stuff that the leading commercial brands aspire to. By the way, I also have a Breville double boiler. It is extremely consistent and I find the criticism rather elitist. It's been very reliable and is really great value for money. I do love my E61 machine, however, the Breville is great for consistency, ease of use, quick heat up time (less the 5 minutes) and it does make a great tasting coffee. I've just purchased the DE1+. Should be an interesting journey. By the way, I also have a Breville double boiler. I'm also a fan of the BDB, as it is IMHO the best designed mass-market, consumer-oriented espresso machine, and the strongest competitor to the DE1. The level of detail on the design is impressive. I bought the BDB for my lead mechanical engineer when I hired him. I look forward to reading about your taste comparisons between your various machines and suggestions for improvements. matth3wh, rawill and fredrodrigues like this. I'm impressed with the BDB, not being elitist. Don't get me wrong, just as per my original comment, out of warranty repair costs are horrid. And a few mates have had such an experience. Glad to hear the DE1 is going to be much more serviceable. Will you have your control boards available as spare parts? Will you have your control boards available as spare parts? Yes, all the parts in our espresso machines will be purchasable by anyone, and not restricted. Dimal, MrJack and magnafunk like this. Is there a showroom in HK where a demo can be arranged or a coffee shop equipped with DE+Pro? You are absolutely welcome to come visit us in Hong Kong any time. In a few months, the Pro models will start popping up in cafes, and I can provide a list of where they are. I have an idea for an app that locates the nearest "decent espresso machine" near you.